Anco FIT was one of the key products at the ADM booth at World Pork Expo 2017 in Des Moines Iowa. ADM is the US distributor for Anco FIT and has been promoting Anco FIT to its customers since September 2016. 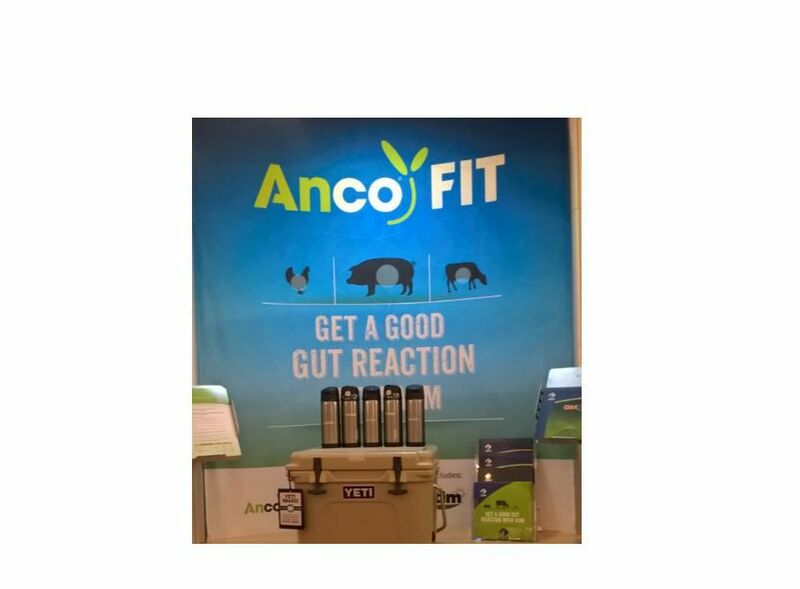 The commercial sales team at the ADM booth, which has been actively selling Anco FIT to pig farms reported some feedback from Anco FIT users on pig farms. Anco FIT is a gut agility activator. designed to manage gut agility by dietary means and is applied as a feed additive to complete feed. Application of Anco FIT to pig diets empowers animals to adapt to nutritional stress factors more efficiently and live up to their performance potential. It relies on bioactive substances in the formula, that help to reduce negative stress reactions such as reduced appetite, oxidative stress, inflammation and reduced gut integrity in response to nutritional stressors, which increases the amount of energy available for growth. For the nutritionist, it provides greater control over the cost-effectiveness of diets.